I promise I’m not going to say “just when you thought it was safe to go back into the water”. 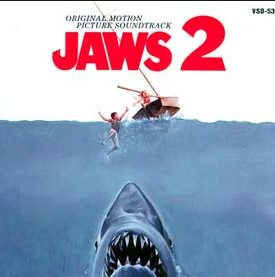 Okay, so it really was not safe to go back in the water back in 1978 because Universal Studios cashed in on the cash cow that was Jaws; the original summer blockbuster. As sequels usually go, they can’t hold a candle to the original but with Jaws 2, I would say they made a damn good attempt. Sure, it a silly premiss that a monster shark came to seek vengeance on a small beach community only a few years after the first monster shark had its head blown off but hey, life is weird like that. Just ask New Jersey. So yeah, I am yapping about Jaws 2 but more importantly I want to climb the rafters with a bullhorn and call to prayer that the fine people of Narragansett beer have released a retro-throwback LIMITED EDITION lager that was featured in the first Jaws film. 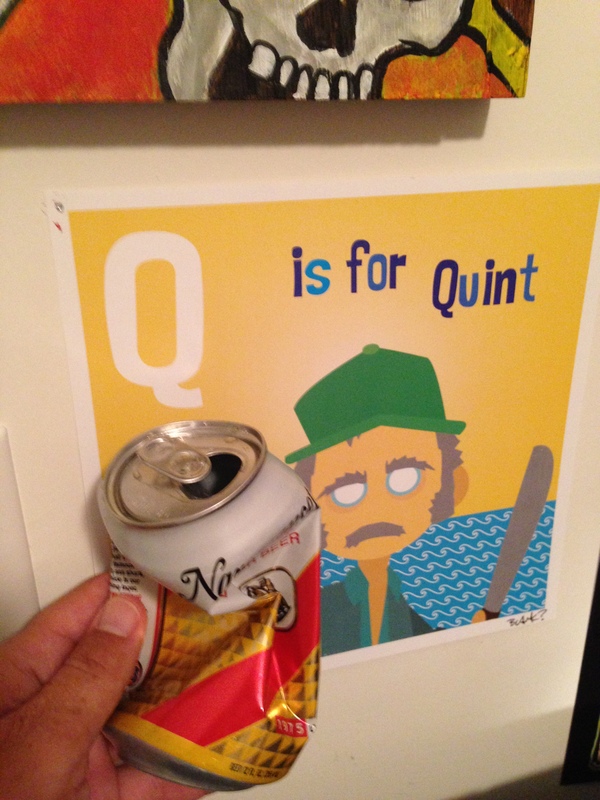 The can is in its original colors from 1975 and was actually crushed by Robert Shaw who played Captain Quint. I have drunk many cans of bud lights in the Army and college just for the purpose of reenacting that famous scene between him and Richard Dreyfus. 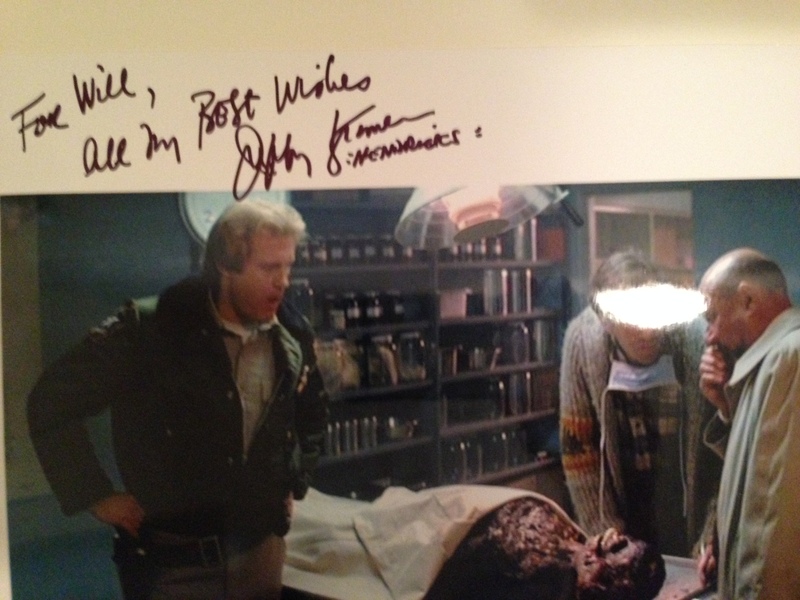 Also, I wanted to take this quick minute to brag about the time I met Jeffery Kramer who played Deputy Hendrix, Martin Brody’s second in command. Such a nice guy and had a blast asking him all the lame-o questions a geek like me could ask. He signed a shirt (claiming that to be his first) but he also signed a couple of autographs to include a very special one. The autopsy scene in Halloween 2 but accidentally signed is “Deputy Hendrix”, his Jaws character. Doh! I doubt it increases the value in real life but for the dumb collection in my office, it’s priceless. So, please watch and sorry in advance about the crazy noises I make after eating this insanely hot, shark themed, hot sauce. It is a doozy. Honest, it will light your face. FLTO: Toby and the Great Battle of the Burgers! Jaw is one of those franchises I have never had an interest in. I always love it when a company makes a product referencing a classic movie though.